A winch is a must-have tool for any serious off-roader. It can get you out of a sticky spot when nothing else will work, whether you are caught in a mud puddle, a snowbank or a loose sand patch. Even the best off-road vehicles with the highest tread tires will get stuck now and then – you don’t want to be stranded without a winch to get you out. You don’t have to be an off-roader to appreciate the value of a high-quality winch, though. Any vehicle could get stuck or die in an inconvenient place. A winch in your toolkit will keep you from having to call a tow truck, and get you out of a jam quickly. If you are looking for the very best winch on the market right now, we hate to have to tell you this – but it doesn’t exist! Winches are made for a variety of vehicles and situations; finding the best one entirely depends on your needs. 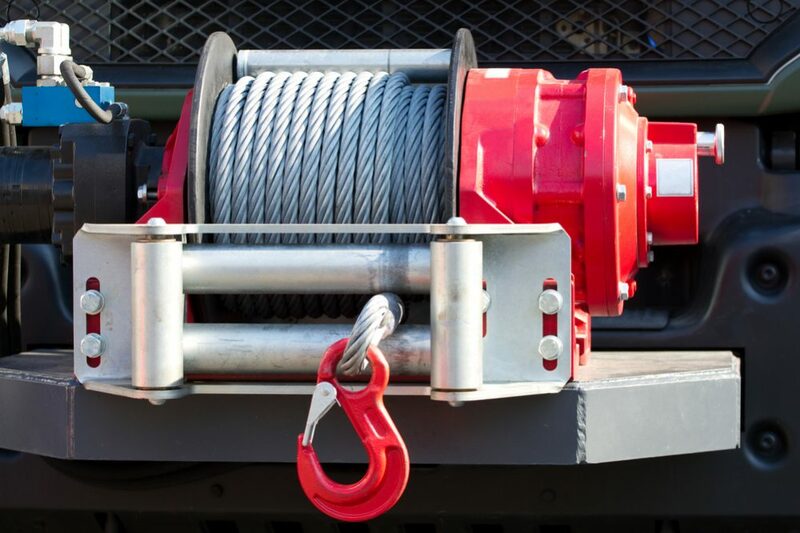 To help you in your search, though, we have compiled a list of six of the top winches available in 2019. Each of these winches will perform great for different circumstances. Take a look through them all to find the one that will suit you best. Warn 90330 ZEON 8-S Multi-Mount Winch Kit: best winch for off-road vehicles. Superwinch 1595200 Tiger Shark: best budget-friendly winch. WARN 26502 M8000: best winch for jeeps. Warn 95960 ZEON Platinum 12-S: best winch for trucks. Superwinch 1510200 LP10000: best electric winch. Again, all of these winches perform great, but some are better than others for certain situations. This review will go through each of them in detail, outlining their benefits and disadvantages. If you still have questions, we have included a helpful buyer’s guide at the bottom of this article, with some tips on what to look for when shopping for the best winch for you. At the start of this list is a top off-roading winch from one of the nation’s best producers of vehicle winches. This Warn winch can haul up to 8000 pounds and is designed for recovery situations for off-road vehicles. This multi-mount kit is far from the only Warn product on our list of top winches. Warn is a very popular winch producer, for good reason – they make long-lasting, high-quality products that always come with a warranty. Part of the new Zeon series of Warn winches, the 90330 is specifically designed for heavy recovery scenarios. 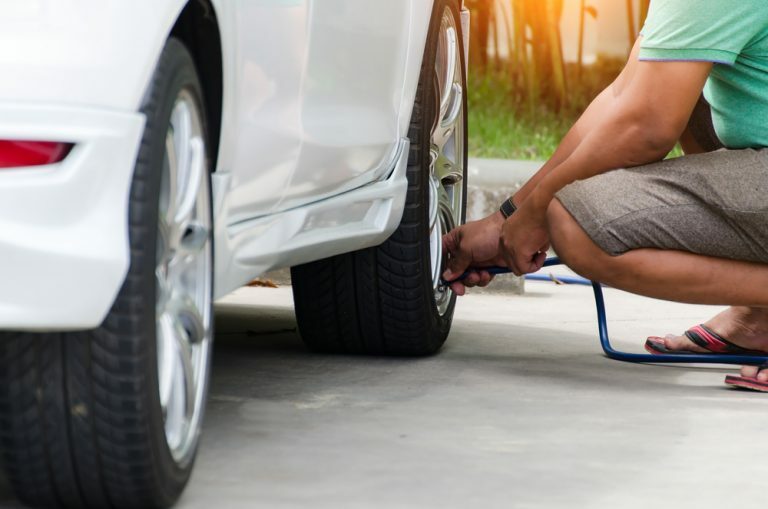 As it hauls, it distributes the load across the entire frame of the vehicle, which reduces the chance of changing your vehicle’s alignment. 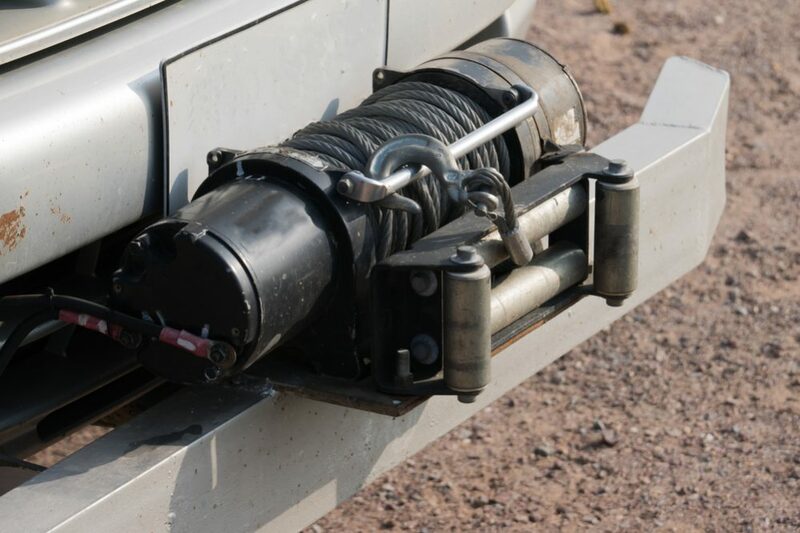 That means that if your jeep, truck or 4X4 is stuck in deep mud or on a steep angle, this winch can safely haul it out without causing any further damage to the vehicle. A powerful, newly re-designed motor will get you out of any spot, no matter how deep or severe. It comes with a convertible control pack, which can be mounted separately from the control pack, or attached. A large aluminum drum protects the rope from damage without adding too much weight. Mounting this winch kit is simple – and it’s symmetrical, all-black design looks great, too. 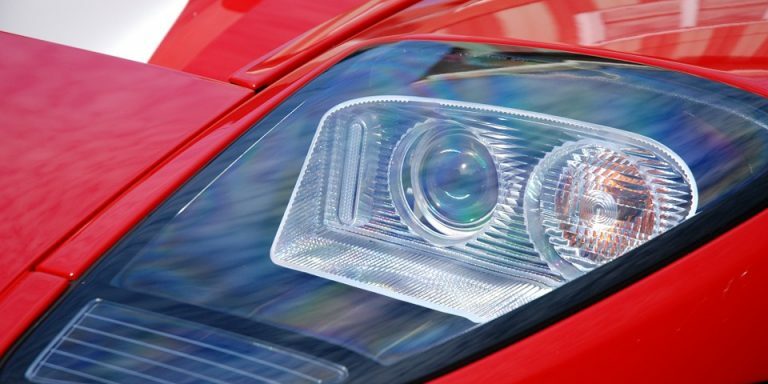 It will give your off-road vehicle a rugged professional look. 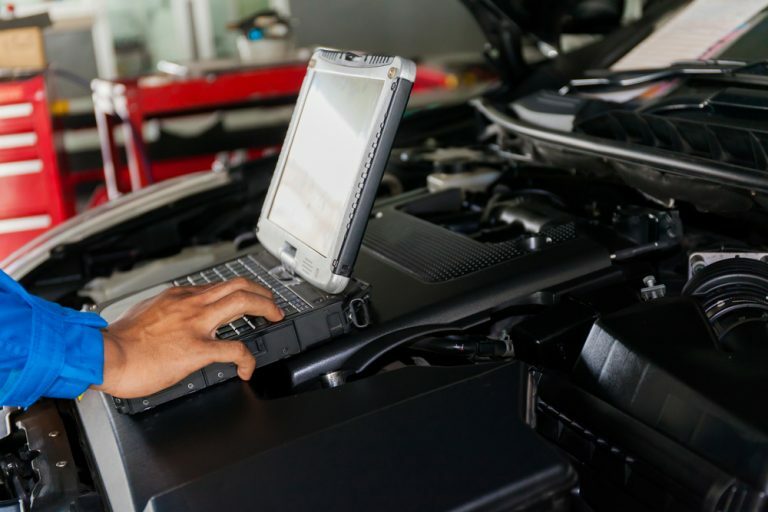 This is certainly a more expensive option, but when it comes to vehicle recovery, we believe it is best to pay full price for the guaranteed quality. We would recommend the Warn Zeon 90330 for any serious off-roader. A reliable winch for lighter use, the Tiger Shark comes at an awesome price and delivers long-term quality for everyday uses. We have named the Superwinch Tiger Shark the best budget option on our list simply because it out-performs any other winch in its price range. This winch is super high quality and built to last, and it can do just about anything that a more expensive winch can – just with a slightly lighter capacity. To clarify, the weight capacity of the Tiger Shark is 9,500 pounds – even higher than some other high-performance models. But with its 5.2 horsepower motor and lightweight build, it does not have quite the same power behind it as other winches. We would not recommend this model for heavy recovery scenarios. That said, for lighter jobs, the Tiger Shark will never let you down. It comes with a durable rubber remote on a 12-foot line, making it easy to operate. The material is super weather-resistant and the motor is securely protected from the elements. The stainless steel roller fairlead makes it easy to access the wire cables and allows for smoother operation. 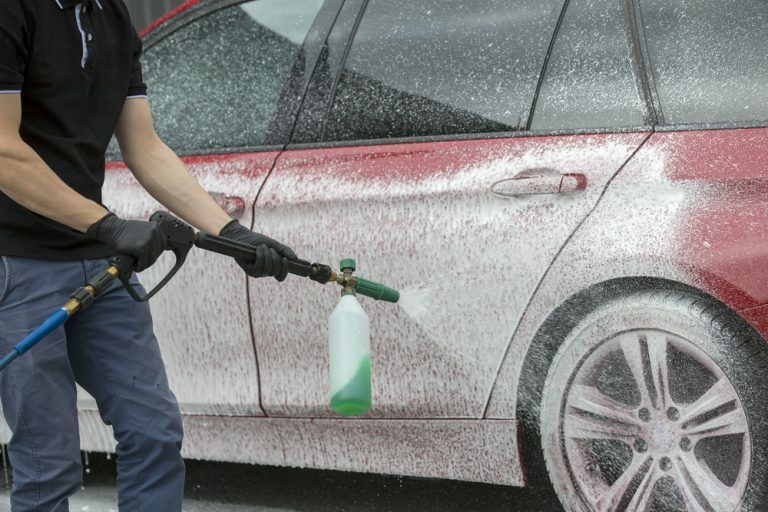 It’s great for getting your vehicle out of deep mud or snow. We definitely recommend the Superwinch Tiger Shark for vehicle owners on a budget, who don’t do a lot of heavy-duty off-roading. It will get you out of soft spot effortlessly. This Warn winch is versatile and super powerful, great for any recovery situations. Its compact, low-profile build make it perfect for jeeps. For a smaller, quieter winch, this Warn model packs a surprising amount of power. It has an 8000-pound towing capacity – perfect for most jeeps or other smaller off-road vehicles. A 3-stage gearbox and heavy-duty wire rope with roller fairlead make it super effective in nearly any recovery scenario. 100 feet of 5/16 wire rope allows you to attach your vehicle to a lead from a long distance – great for steep slopes and more dangerous recovery locations. This winch comes with a handheld rubber remote on a 12-foot lead, and an automatic brake, ensuring the safety of both vehicles involved. It has a roller fairlead, but is also compatible with a hawse fairlead, which can be bought separately and installed. The low-profile design and relatively low weight of this winch make it ideal for jeeps – but it will work just as well on your truck or 4X4. Like other Warn winches, it is a little pricier. But again – you can’t overprice great performance when it comes to vehicle recovery. This little winch is a great, powerful option for off-roaders and jeep owners. Yet another Warn winch on our list – this Zeon Platinum winch is really another level of heavy-duty. Great for work or play, it is powerful enough to get even the heaviest trucks unstuck and on the road (or off the road) again. We are calling the Zeon Platinum the best winch for trucks, but trucks are certainly not all it is good for. This is simply one of the most powerful, strongest winches you can find right now. It is also incredibly durable and built to last through years of tough recoveries. A 12,000-pound pulling capacity and powerful engine, as well as tough synthetic rope, makes this winch about as strong as it can be. The engine is protected from water and most weather conditions, and the body of the drum is corrosion-resistant and actually surprisingly lightweight for its strength (just about 80 pounds). One of the coolest features of this powerful winch, though, is the wireless digital remote. 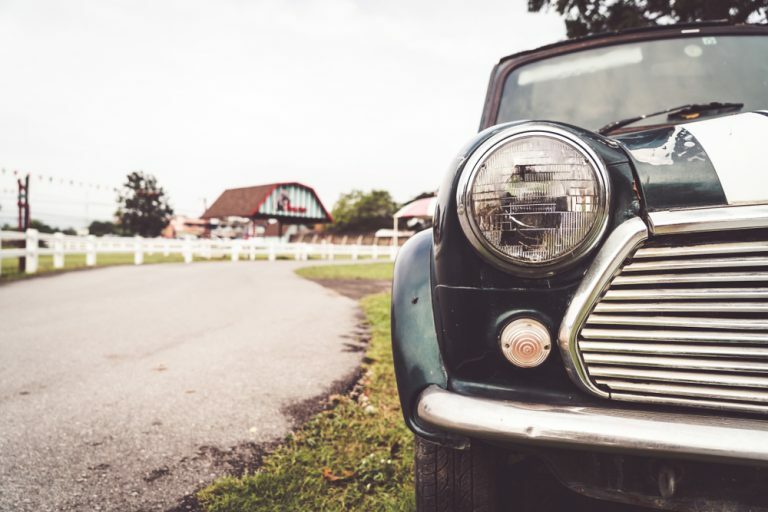 It can be charged through an ordinary USB cable and makes using the winch a whole lot easier, not to mention safer – you don’t need to be standing anywhere near the vehicle during the recovery. The remote will also tell you the motor temperature, so you know when the winch is at risk of overheating. 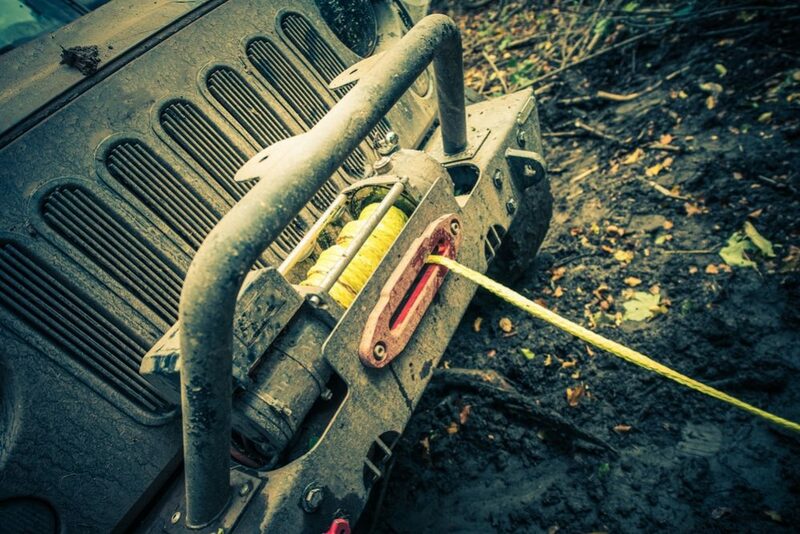 If you have a heavy vehicle that you take on muddy or dangerous routes, we highly recommend the Zeon Platinum winch. It is the best in strength, safety, and durability. An all-weather winch with a high-capacity, this Smittybilt model is a great mid-range option. For its 3-stage gearbox and high-power motor, we are calling this winch the best for all 4X4 vehicles. This is the only Smittybilt winch on our list, but it is actually one of the most trusted producers of winches for jeeps, trucks, and 4X4s. This particular model is super durable for all weather conditions and powerful enough for most heavy recovery scenarios. A 1000 pound pulling capacity, 6.6 horsepower motor and tough, resilient synthetic rope make this a very powerful winch; tough enough to get even the heaviest 4X4 vehicles unstuck from thick mud or rocks. What really makes it stand out on our list, though, is that it is completely waterproof. The motor is amphibious, meaning it can survive submersion, and the body of the drum resists corrosion. All of that makes this the ideal winch for towing your vehicle out of the water. It also makes it a great choice for someone who does a lot of off-road driving in rainy or snowy areas. To top it all off, this Smittybilt winch comes with a wireless digital controller for your safety and convenience. If the wireless function should fail, though, it also comes with an attachable synthetic lead. Despite its power and great performance, this winch comes at nearly a quarter of the cost of other, more expensive options on the market. We would highly recommend it for any vehicle owners, especially if water resistance is important to you. Wrapping up our list is an awesome electric-powered winch. This Superwinch model is powerful enough for most recovery scenarios and priced at a steal. While this electric Superwinch may not be the most powerful on the market, it certainly performs well for its price range. A 10,000-pound pulling capacity is enough to pull most jeeps, trucks or 4X4 vehicles. It is also weather resistant and super durable – guaranteed to last you through at least two years of use in any conditions. This winch is easy to mount and to use. Its handheld rubber controller comes on a 12-foot lead, plenty of room to get you a safe distance away from the vehicle. 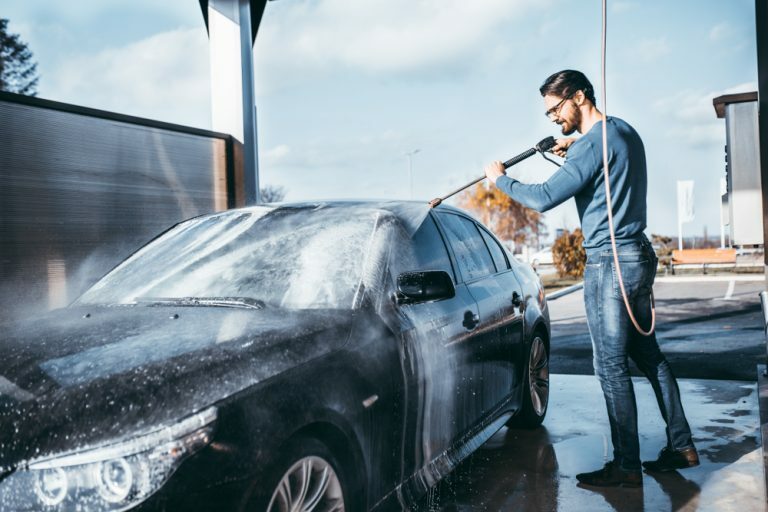 It is weather resistant but not waterproof – so it will hold up well in most weather conditions, but we would not recommend it for recovering a vehicle from the water. It is a little noisier than most of the other winches reviewed on this list, but all-in-all, a little noise is not the worst attribute a winch can have. What matters most is that it is effective, durable and affordable. This is a fantastic option for day-to-day, lighter use; great for someone on a budget who is not willing to sacrifice quality. Now that you have seen some of the top winches on the market right now for their categories, how do you decide on which one is best suited for your vehicle? Well, we are here to help. 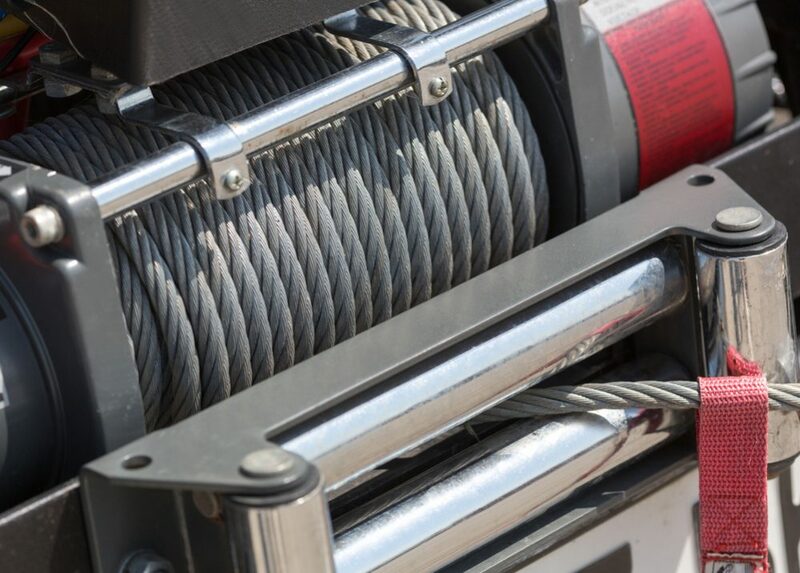 The following buyer’s guide will run you through some of the varying types of winches, and important factors you need to take into consideration before you go out and purchase one. One of the first things you need to consider is whether you want an electric or a hydraulic winch. A hydraulic winch will give you far more power, but at a higher cost and more maintenance; while an electric winch will work great on low to mid-size vehicles and come much cheaper, but risks running up your car battery. In short, unless you do a lot of really heavy-duty recoveries, a common electric winch should suit your needs just fine. They still have tons of power to them and are generally strong enough to get a smaller truck or a jeep unstuck fairly quickly. They are also easier to install and handle. 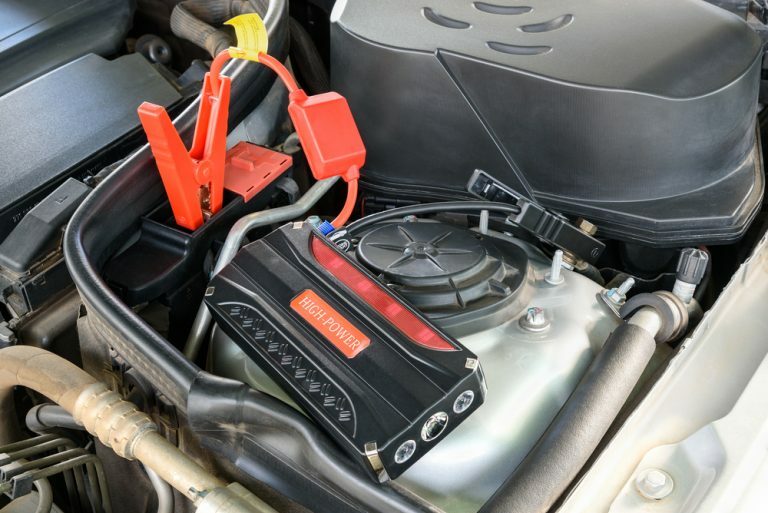 The one risk you run with an electric winch is of overheating your car battery; it is helpful to have a control on your wench that can read the motor temperature to prevent this. Otherwise, just take it slow if you think you are at risk of overheating. For professional workloads and heavier trucks, a hydraulic winch is probably worth the cost. You may want to have a professional install it for you, as they are a bit trickier to mount than electric winches. But again, if you are going to get a lot of use out of it, the cost is worth it. You probably noticed that in the reviews above, some of the winches feature synthetic rope will others have wire rope. Both rope types have their benefits and can pull equally heavy loads – it is really just a matter of preference. Wire cable ropes, or steel wire ropes, have been in use much longer; you will find them on most older winch models. They are resistant to weather and sunshine and meant to be long-lasting, although they can succumb to rust. They are also heavier and a little more cumbersome than synthetic rope. When handling a winch with wire cable, it is recommended you wear heavy gloves to prevent cutting up your hands. Synthetic ropes, on the other hand, are super strong and much lighter and friendlier to the touch. They are a more modern option, and gaining in popularity as stronger fabrics are being produced. However, synthetic ropes are inclined to wear down a little faster than wire, especially if exposed to a lot of direct sunlight. Rope type should not effect pulling capacity or power of the wench. Which type you prefer comes down to your preferences as a buyer, in terms of both visual appeal and durability. It should go without saying that if your vehicle exceeds the pulling capacity of a winch, you should not try to use it. Overpowering the capacity of a winch can be dangerous; it is important to get the right capacity winch for your vehicle. The safest bet is to get a higher capacity than you think you will need, just to be prepared for anything. Bear in mind that the pulling capacity is not the only factor determining the power of your winch. 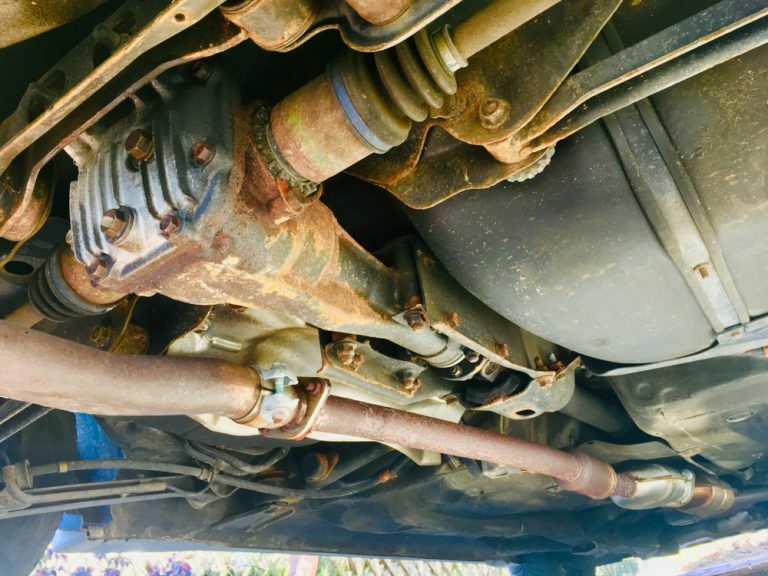 A powerful electric or hydraulic motor also plays a role, as well as the factors we cannot control – the depth of the mud or snow your vehicle is stuck in, the angle it is at, etc. As a general rule of thumb, the higher the pulling power of a winch, the better performance you can expect it to perform in most scenarios. Using a winch for a vehicle recovery can be dangerous or a little confusing, especially if you have never done it before. This is not an instructional article, and we encourage you to do some more in-depth research before you try to use your winch for the first time – but here is a little step-by-step, just to give you an idea of how it works. First, the winch should be switched into free spool mode, so that you can easily reel out the rope and attach it to an anchor object that has a higher capacity than the winch itself – a heavy truck is your best bet, or a four-wheel-drive vehicle. Once the cable is attached, lock the winch. 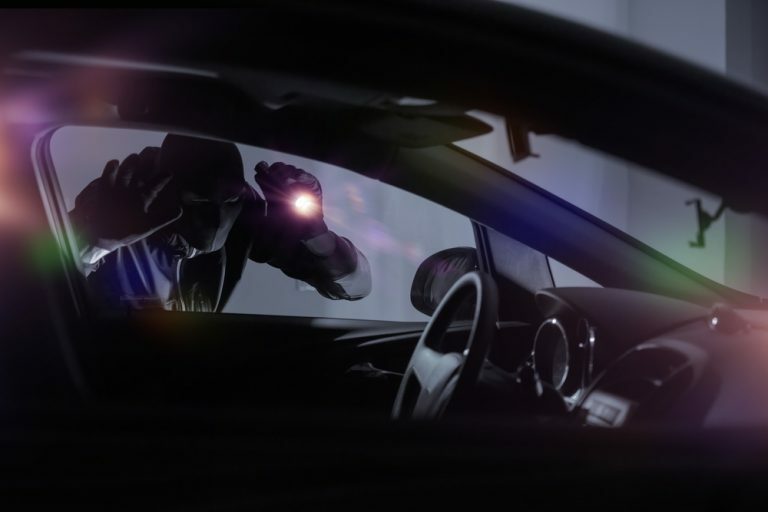 If you are using another vehicle as your anchor, make sure the brakes are pressed. Then, using the handheld control of the winch, feed the rope back into the drum until it is pulled taught. 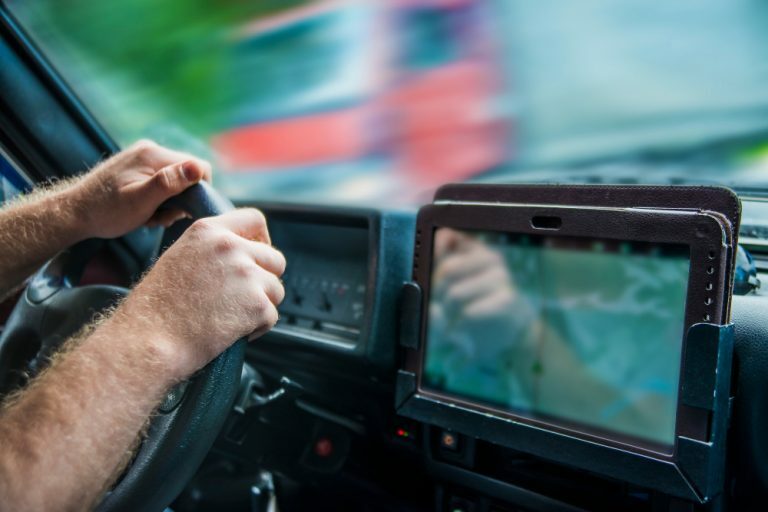 You can then start the winch, while at the same time – if possible – lightly pressing the gas pedal on the stuck vehicle. For recoveries on rocky slopes or at steep angles, be sure to use your best judgment. Keep everyone out of the way, and don’t press the gas on the stuck vehicle if it is too hard to get to. Again, this is by no means a comprehensive guide on how to use a winch, but a general idea of how it should look. We encourage you to read more into it before using a winch for the first time. 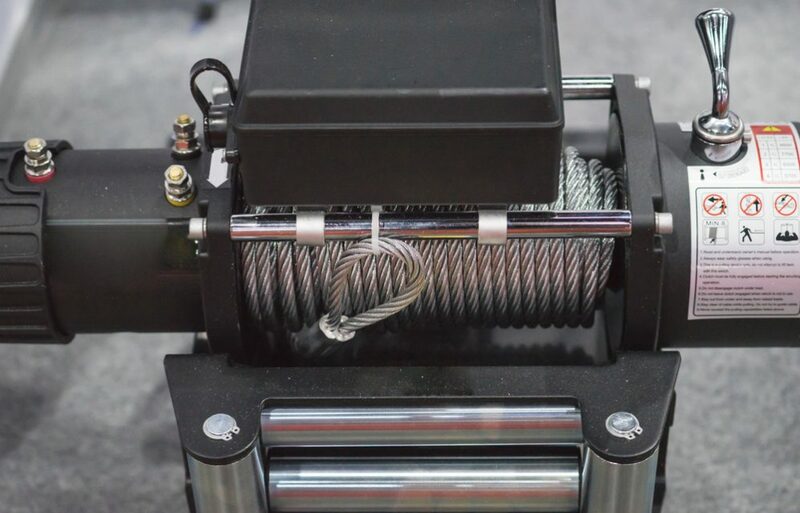 We have reviewed some of the top winches on the market right now, and given you the basic information you need to pick the winch that will serve your needs best. Remember, you don’t need to be an aggressive off-roader or a professional to use a wench – they can come in handy in any off-road scenario. Driving during winter conditions or on muddy roads is dangerous, and even the best four-wheel vehicles can get stuck. A winch will save you time and money getting out, wherever you are. 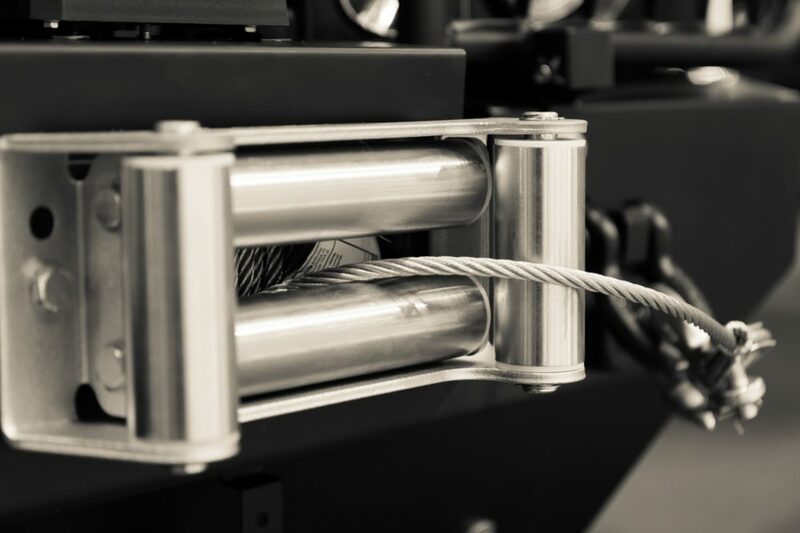 Now that you are informed, we encourage you to pick the best winch for you and install it right away. It will make your next off-road journey safer, easier and just more fun.